The bread and butter of the faith-based film genre is real-life stories, usually involving miracle healings or visions of Jesus himself, and often times both (“Miracles From Heaven,” “90 Minutes in Heaven”). 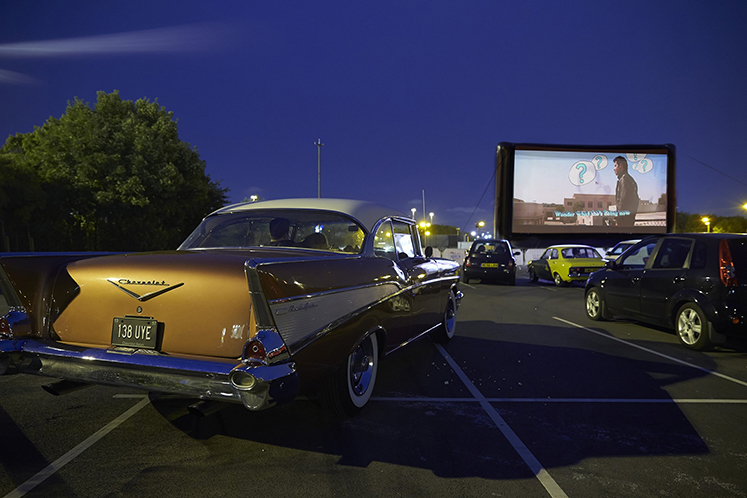 But the filmmakers of faith-based projects have been expanding their purview, in terms of genre, and in telling stories that usually depict a contemporary, inclusive representation of Christianity. The story behind “All Saints,” written by Steve Armour and directed by Steve Gomer, manages to encompass all of the above. The line between fiction and nonfiction is deliberately blurred in “All Saints,” which tells the true story of a church resurrected by unlikely saviors. The film was shot on location at the real All Saints’ Church in Smyrna, Tenn., and many members of the church play themselves on-screen. John Corbett brings his folksy charm to the role of the Rev. Michael Spurlock, who is tasked with putting a dying church out of its misery, its mortgage astronomical and membership dwindling. It's all set to become a big box store, but with a vision from God and a few dozen Burmese immigrants, Michael reverses course, reviving the institution from a certain termination. Nelson Lee plays Ye Win, an ethnically Karen man from Burma, a refugee from brutal civil war, who has just arrived with a group of families in the United States. Lacking support and resources, he turns up at All Saints’ church. When the needy Karen land on his doorstep, the rebellious Michael decides that he speaks to a higher power than money — and that God has instructed him to plant a farm on the church land to feed the Karen people and pay the mortgage. 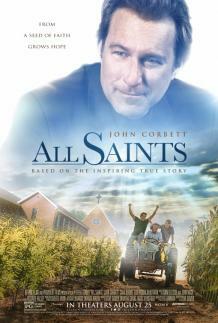 “All Saints” is rather fascinating in its relationship to faith and religion. It's a film not so much about scripture as it is about community. The folks who need community the most cling to the church not necessarily for the prayers, but for the people. Though there are a few well-placed Bible verses, this story is about the purpose that a church serves to bring different kinds of people together and offer common goals, salvation and collective endeavors. The cinematic execution of “All Saints” is serviceable at best. It's stilted at times, with too much dead air hanging around, and the stakes and roller coaster of ups and downs in the script often seem out of step with the emotion on-screen. There are high highs, low lows, and last-minute saves that seem amped up for cinematic purposes. Corbett is impassioned as Michael, even when his shaggy-dog sensibility doesn't quite fit this part. Lee gives the best performance in the film as the stoic and striving Ye Win, searching not even for the American dream, but simply a place to call home. He bonds with cranky Vietnam vet Forrest (Barry Corbin) through their shared war experiences and offers Forrest the thing he needs the most: a friend.